Nestled on a remarkably private lakefront lot within the prestigious park-like community of Cypress Head in Parkland, Florida is this spectacular waterfront estate. Truly exceptional, this stunning Cypress Head property encompasses a total of 5,120 square feet of lavish living space with 5 bedrooms, 6 full bathrooms and 2 half bathrooms. The graciously proportioned and beautifully appointed interior offers an array of enviable features including a Master Suite with private balcony and spa-quality bath with steam shower, a 2 story family and living room with rows of over-sized windows, gourmet island kitchen with custom cabinetry and high-end stainless steel appliances, a private dining room and an expansive 2nd story loft. The lakefront backyard offers a truly impressive retreat with its spectacular caged lanai, swimming pool and spa. Additional unsurpassed features include a large custom-built wet bar, impact windows and doors, new roof in 2006, hardwood and marble flooring, a circular driveway and 3-car side entry garage. Equipped with the latest high-tech gadgetry, this modern masterpiece also offers automated controls that allow you to control the pool and spa equipment, landscape lights, air conditioner and steam shower right from your smartphone. 7720 Ventura Ln is located in Parkland and is currently asking $1,399,000. This Cypress Head listing is courtesy of The Keyes Company 6 MLS# F1333881. 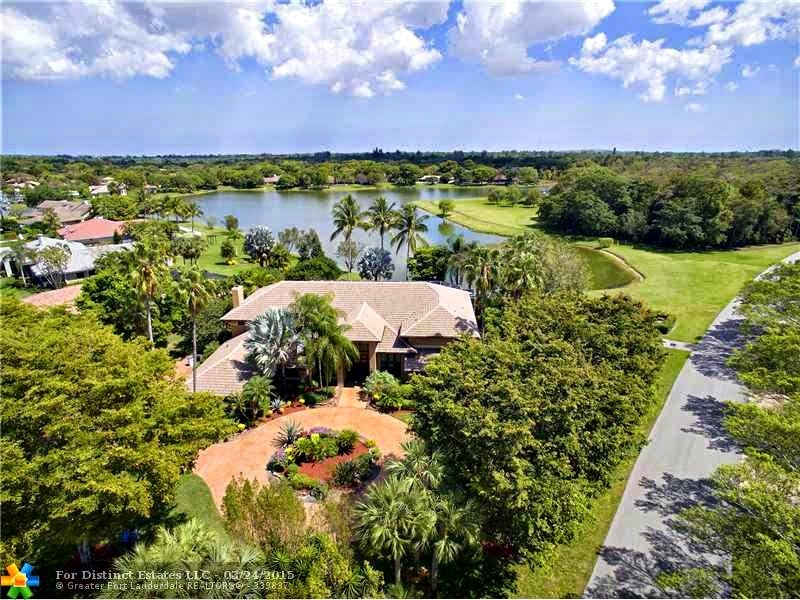 Cypress Head is an exclusive gated community located in the picture perfect city of Parkland, Florida. Residents of this picturesque community enjoy an array of impressive amenities including sprawling resort-like grounds, 24/7 manned gated entry, on-site management, 6 lighted tennis courts, full-sized basketball court, sand volleyball court, one mile jogging path, 2 clubhouses, fenced playground, fishing pier, nature preserves, parks and over 70 acres of fully stocked lakes for fishing and canoeing.